RE/MAX (Real Estate Maximums) Real Estate Agency was founded in 1973 in the United States. Since then, the company expanded their influence to other countries around the world, and in 2004, RE/MAX Malta was founded by the Buttigieg Brothers. The company gives a fully thorough real estate service to the residents of Malta and expats who are retiring on the island. The company works strategically where associates specialize in establishing a market that remains on top with the changes in a buyers’ or sellers’ market. As a major franchising company, they have always been successful in fulfilling that need to realtors. 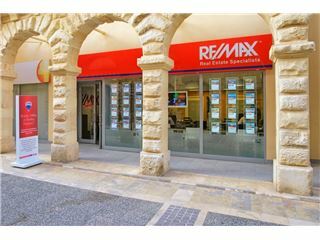 Their goal is to be a major leader in Malta’s real estate market and continue to set the pace with consistent innovative ways of buying and selling real estate that has made RE/MAX well known. In doing so, they provide their sales and letting associates the education that allows individuals to succeed in their own careers and reach out to the general public. RE/MAX is known as a real estate company that can recruit people and build their careers while keeping it customer friendly. In a tough sector like this, it is essential that the number one person is the client, not the agent. RE/MAX Malta has state of the art technology to provide customers with the up-to-date database of all residential and commercial property that’s for sale. 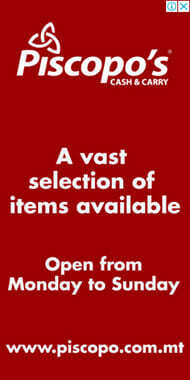 Their extensive database works for all types of properties from standard accommodation to luxurious homes. They have the experience and understand what are the needs of clients. With the largest database of commercial properties available, RE/MAX Malta are always there to offer different choices for any client. This is key for those moving to Malta for business or retirement; they can help set up anyone in the right direction in terms of buying. RE/MAX Malta formally set up their educational program in 2011 when the company realized the need to improve their system. Their job has been to analyze the company’s training needs and to make new training courses and localize all training programs for the whole Maltese market. Leading RE/MAX International speakers and trainers are here to raise the profile of associates who are part of the program in Malta’s real estate sector. It is a classroom where associates learn the methods of handling all deals. Purchasing property in another country should never be a blind buy over a country’s laws. Europe’s real estate market constantly changes and has been in a decline recently, but Malta’s real estate market has not suffered. It brings calm to non-Maltese who may not know the system and realtors at RE/MAX will have all the keys to getting through and buying the right property for you.